David will be co-presenting with Michael Corey, President of Ntirety, and Deji Akomolafe, Staff Solutions Architect from VMware Corporation. This session is a kick-off to the Microsoft Applications and vSphere related tracks scheduled throughout VMworld 2015. Specifically in this session they will discuss why all Microsoft Applications are candidates for inclusion in a virtualized infrastructure. David will be joining a breakfast panel discussion with PernixData technical leadership to discuss the positive impact to storage optimization for Microsoft SQL Server on vSphere customers receive with PernixData FVP. Tegile Systems is sponsoring an evening event where David will join Tegile’s technical leadership on a panel to discuss their all flash array benefits for Microsoft SQL Server and VMware customers. The location and time for this event are included in the invites from Tegile Systems. David will be co-presenting with Thomas LaRock, Head Geek from Solarwinds. In this session David and Thomas will share their years of experience in virtualizing large Microsoft SQL Server databases to help attendees prepare and validate VMware system environments for business critical databases. They will discuss and demonstrate key performance and architectural tips and tricks so attendees will understand how to maintain the performance that businesses depend on. Scalability concerns will be addressed through discussions on scaling an individual database VM up, and outwards scaling as organizations virtualize all database platforms. Key talking points will be presented so attendees can not only perfect the database virtualization from a technical level, but also from an organizational and people level by knowing how to convince the DBA that the time to virtualize all databases is now. Breakfast panel discussion with SIOS Corporation. This is an invite only event for vExperts and other VMworld attendees. David will be on a panel with SIOS technical leadership speaking about the value of the SIOS iQ solutionfor Microsoft SQL Server customers running on vSphere. Starting at 4:30pm PST, David will be at VMworld’s Hang Space leading a vBrownBag Tech Talk on Microsoft SQL Server virtualization Gotchya’s. In this session David will speak to general Microsoft SQL Server on vSphere performance best practices, and other tips for ongoing monitoring and management for a continued stable platform.The full schedule is available here. The small group and individual meetings are always welcome while David is at VMworld. Please contact us atinfo@heraflux.com or call 402-500-0867 if you are interested in meeting with David while at the conference. A special thank you to our past clients and partners. Due to tremendous business growth, Jon Shields recently joined Heraflux as our new Vice President of Business Development. Please contact Jon at 402-500-0867 x103, orjshields@heraflux.com to coordinate any other activities for Heraflux at VMworld. 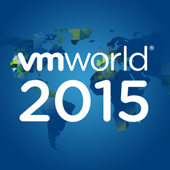 We look forward to seeing you at VMworld 2015 in San Francisco!